Image shown may not represent bed size indicated. 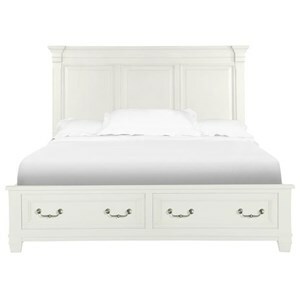 Enhance the bright and airy nature of your bedroom with this attractive low profile bed. The slight touches of classic design in the legs of the footboard mesh beautifully with the modern and open look of the unique headboard. 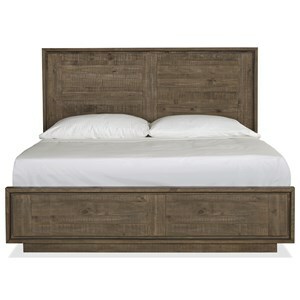 The open spaces allow this piece to breath, adding a sense of relaxation and space to your bedroom. 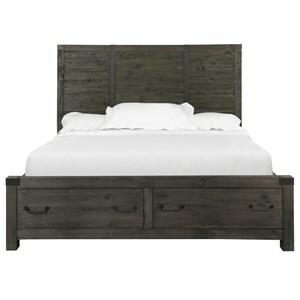 The Meyers Park Transitional King Low Profile Bed by Pulaski Furniture at Reeds Furniture in the Los Angeles, Thousand Oaks, Simi Valley, Agoura Hills, Woodland Hills, California area. Product availability may vary. Contact us for the most current availability on this product. P153172 Meyers Park 5/0 & 6/6 Set of Side Rails 1 82" 11" 2.6"
P153181 Meyers Park 6/6 & 6/0 Panel FB & Slats 1 80.1" 18" 3.7"
P153180 Meyers Park 6/6 - 6/0 Headboard 1 80.1" 66" 5.4"
Subtle style and open spaces meet in this collection to give your bedroom the bright and airy look you've been dreaming of. The Meyers Park collection is a great option if you are looking for Transitional Contemporary furniture in the Los Angeles, Thousand Oaks, Simi Valley, Agoura Hills, Woodland Hills, California area. Browse other items in the Meyers Park collection from Reeds Furniture in the Los Angeles, Thousand Oaks, Simi Valley, Agoura Hills, Woodland Hills, California area.